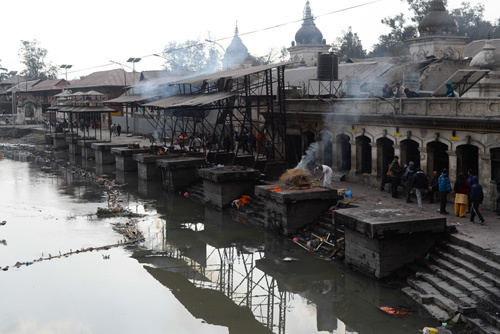 When Nausicaa Shrestha’s mother passed away nine years ago, her father was adamant that she would not be cremated at Aryaghat beside the Bagmati River. The reason was simple: the holy river was just too polluted. So the family drove five hours to Devghat in Tanahun to perform the last rites. Now in his 70s, he has given strict instructions: when he dies, he is also to be taken to Devghat, where the water is cleaner. 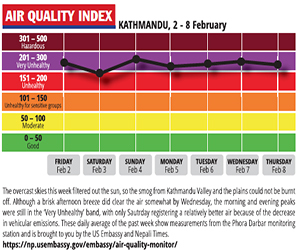 For Kathmandu Valley denizens, various life cycle rituals and cultural festivals have always been associated with rivers. From fetching river water in a kalash to invoke the gods during rice-feeding ceremonies, to cremating the dead along river banks, the recently concluded Rato Machindranath jatra, and the religious month of Gunla that has begun, people’s lives are inherently linked to river waters. But contamination of the holy rivers is adversely affecting cultural and spiritual practices, altering how rituals are carried out and festivals are observed. “With the increase in river pollution, many don’t see rivers as holy and sacred any more. They don’t believe that divinities reside in unclean rivers,” says Rajani Maharjan, an environmental anthropologist who completed her graduate thesis on the effects of river pollution on cultural and physical health. “This has brought a change in how people celebrate festivals,” she adds. Residents have started using water from other sources, and many now carry out rituals inside their homes. 69-year-old Jagannath Pokharel no longer goes to Bagmati River for shraddha (annual death ritual), instead he performs it at home and then feeds the pinda (offering to deceased ancestors) to cows or birds. “The river,” he says, “is too dirty to flow to heaven.” Even during Janai Purnima, Pokharel has stopped taking a holy dip in Bagmati River, and washes at a tap near his house. “I didn’t want to change the way I do things, but I had no choice,” he adds. We cannot afford to have a state within a state anymore, this is not 1960, or for that matter 1846.